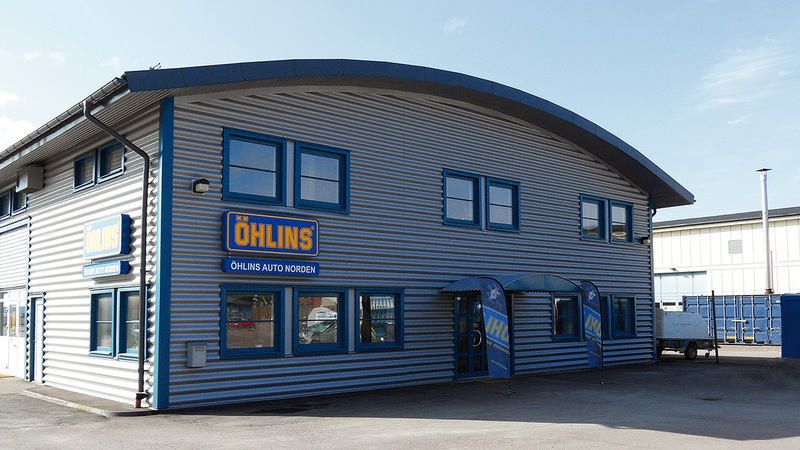 The Öhlins HQ is the very heart of our operations. Everything once started here back in 1976 when the founder Kenth Öhlin started his business in his fathers’ engineering workshop a bit further down the road. All products are being engineered and assembled in the facilities just north of Sweden’s capital – Stockholm. Our central European subsidiary enables us to make faster and more accurate deliveries to supply our customers in the region. 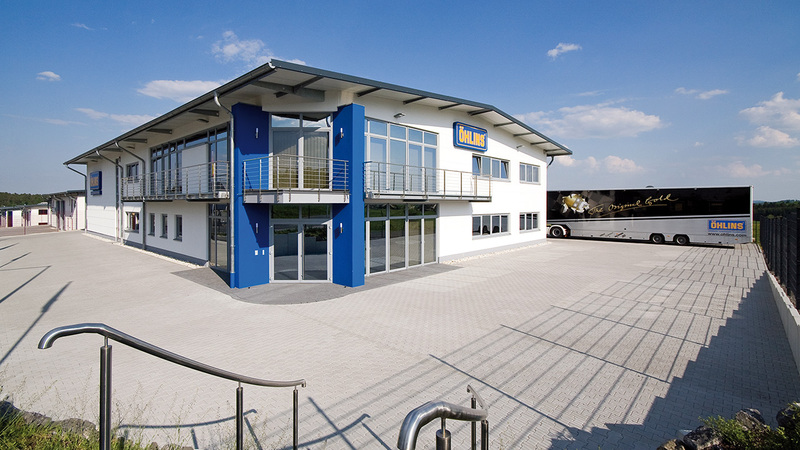 Apart from a more sophisticated delivery service program, Öhlins Distribution & Test Center can offer a complete package with the famous Nürburgring race track located close to our facilities. 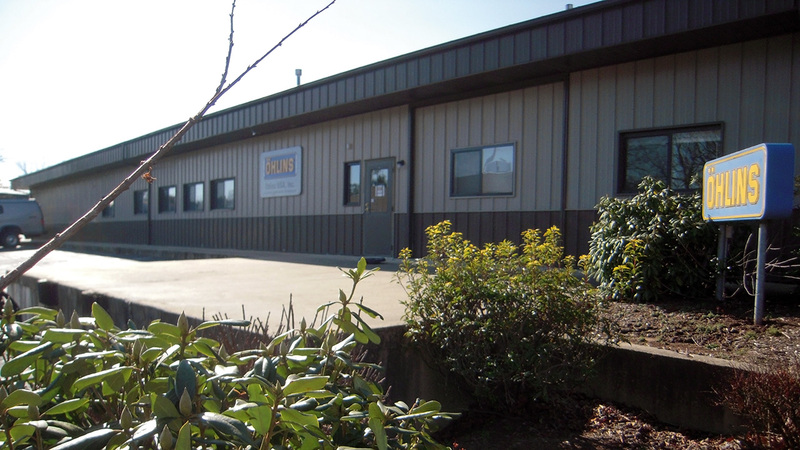 To be able to serve the U.S. market, Öhlins Racing has expanded its presence by setting up a subsidiary business in the heart of the racing state North Carolina – USA. The strategic position goes hand in hand with our 7 post shake rig which is one of the most advanced testing platforms on the US continent today. Öhlins Northern Europe is the distributor of Öhlins Automotive, Motorcycle and MTB products in Sweden, Norway, Finland, The Baltics and Russia. 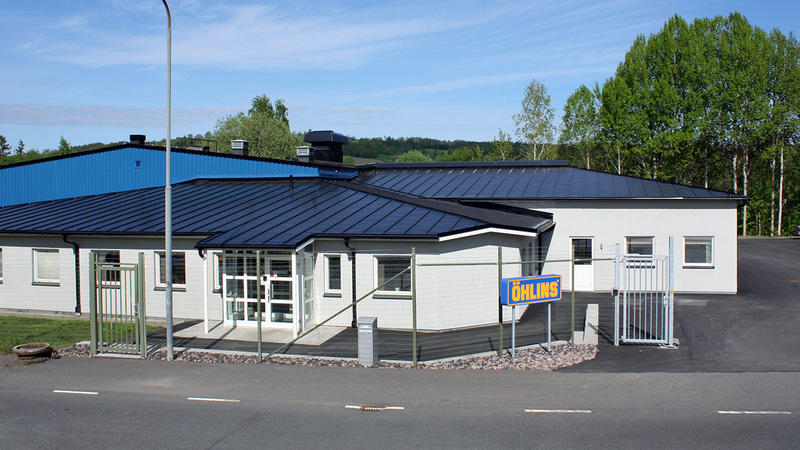 Located in Karlstad – Sweden – the facilities offer a complete range of products and service. The home of the CES technology is located in Jönköping – Sweden. At our modern facilities engineers are in search of the next generation of electronically controlled suspension with great success. Öhlins Asia is the distributor of Öhlins products in Thailand. 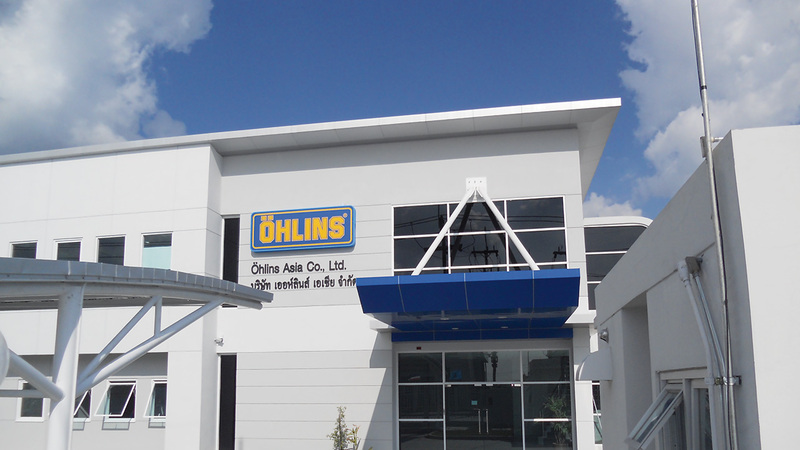 The factory produces Öhlins products for the growing Southeast Asian markets. our local, national distributors take part in almost all national championship series as a natural part of the role as an Öhlins representative – Service & Support are key stones in our quest to offer the most advanced and professional product range in the world. the close relationship with the vehicle industry allows us to take part in the technical evolution – giving us a superior advantage compared to many of our competitors on the market. our dedication and passion for high end racing will find its way back to the aftermarket products – giving the rider on the street the chance of buying the most advanced suspension technology on the market. Öhlins Racing’s CES system (Continuously Controlled Electronic Suspension) integrates the latest technology in hydraulics and electronics into a highly advanced adaptive suspension unit that monitors all four wheels on a car. Based on the quality of the road and the preferred setting by the rider all four wheels are controlled individually to maintain the optimal suspension setup. Use of the CES valve in a shock absorber removes most of the compromise between ride and handling found in conventional shocks. It enables the suspension to provide sportscar characteristics in cornering and lane changes while giving the ride of a limousine during cruising. Öhlins has been active in semi-active suspension development since the late eighties. We have built in-depth knowledge about the valves, shocks, sensors, ECUs and software required to make semi-active suspension work. With our knowledge we can not only supply the valves but also the support required to build a full system. Today the CES technology is used by several car manufacturers such as BMW, Daimler, VW, and Volvo. For more information on CES, please, visit http://www.ohlinsces.com/. Depending on the volume of deviations in the past and supplier history a number of every batch of components is checked at random in the receiving inspection. This way we can minimize the volume of deviating components in the production line. We firmly believe that our production facility in Sweden gives us a competitive edge – we can control the entire flow all the way from the drawing board to the assembled unit in the cardboard box just before shipment. 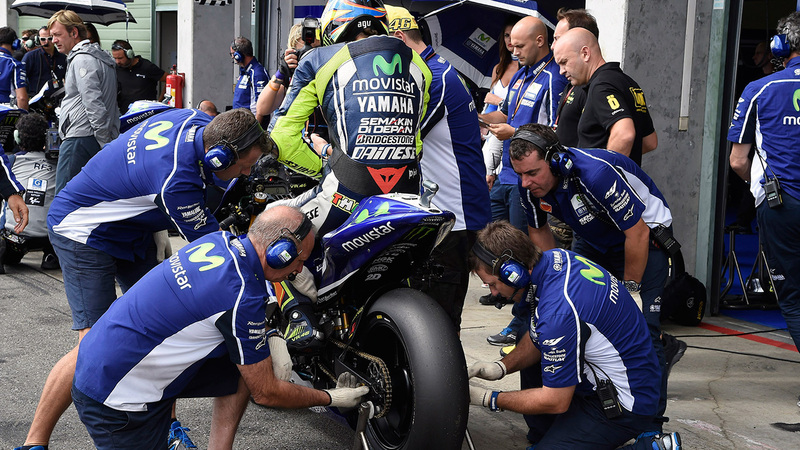 Almost 200 specialized suppliers are working with Öhlins on a yearly basis to craft the optimal suspension components. Every year approximately 1200 new part numbers are added. We are known to be one of the most demanding customers and we take great interest in our suppliers – visiting them on a regular basis to trim their production lines to ensure superior quality components. We think of the suppliers as a part of our family and we take great pride in long term relationships that ultimately brings us closer and we all get to know each others needs and shortcomings. Öhlins also make suspension solutions to customers in search of perfection which has led us into a wide range of industry sectors such as the naval, forest, aero and defence industry.